The Irish Branch of the Institution of Fire Engineers was founded in 1978 by a handful of members. Through the dedication of these founding members the Branch now has an active national membership base across a wide range of fire professionals within fire services and industry alike. Members of the Branch are found working across emergency response, fire safety, active and passive fire protection, fire engineering, consultancy, fire risk assessment and enforcement. The IFE is a registered charity working for societal benefit. 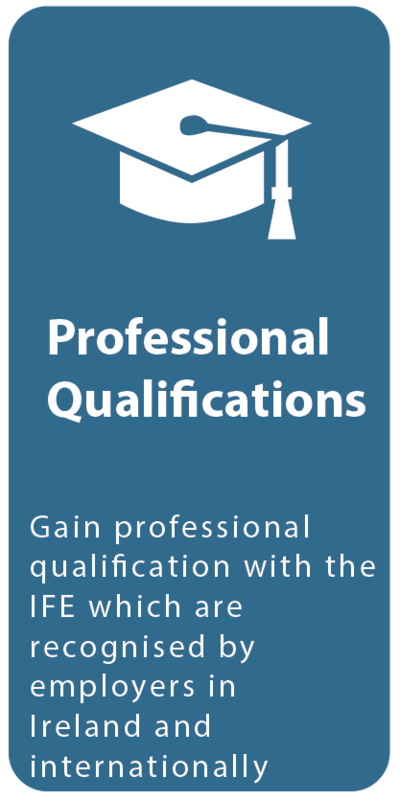 Founded in 1918, the IFE assesses knowledge of fire and professional experience, awarding internationally recognised membership grades and fire-related qualifications. Through its Engineering Council licence as a Professional Engineering Institution (PEI), the IFE registers suitably qualified IFE members as Chartered Engineers (CEng), Incorporated Engineers (IEng) and Engineering Technicians (Eng Tech). 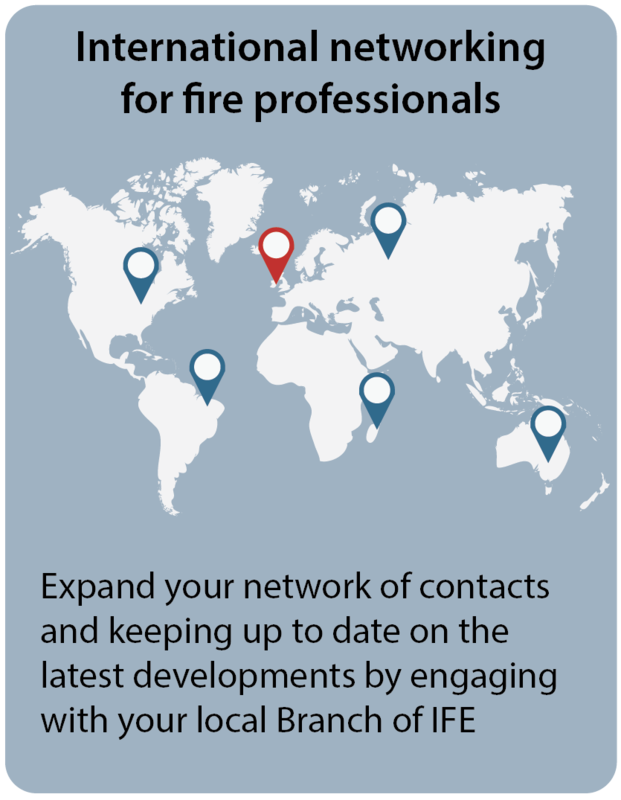 Learning opportunities are worldwide within the IFE fire community and the IFE delivers over 6,000 fire-related exams each year which are required by many Fire and Rescue Services for promotion both within the UK and internationally. The primary objectives and framework for managing the Institution are set out in our Memorandum and Articles of Association and By-Laws. Since first laid out in 1924 they have been amended to reflect the environment in which we operate. At the AGM in July 2017 we will be asking our members to vote on a special resolution to adopt changes to the Articles of Association and By-Laws. The changes we are proposing in summary will allow the Institution to carry out ballots using e-communications. The Board recognise the benefits in terms of both cost and ease of response, when such means are deployed. Also the Board propose the re-introduction of the title of “Honorary Fellow”. Other amendments that have been made encompass a number of technical or administrative amendments, either created by the above, or as matters of correction to reflect current best advice for such company articles. The tracked changes to this document are available to view by following the link below, along with a clean copy of the Memorandum and Articles of Association and By-Laws, which will be presented to the membership at the AGM in July. Board trustees work in a voluntary capacity and are appointed for a term of three years and ensure that the IFE meets is strategic objectives as listed in the IFE Strategic Plan 2015-2018. A number of professional panels, committees and technical working groups underpin the work of the IFE and the IFE’s Charitable Educational Foundation supports international projects aimed at improving knowledge of fire safety for those suffering economic disadvantage. Each IFE Branch is represented on the International General Assembly which meets twice each year to proactively share learning and to provide an important link between overseas members, the Board of Directors and IFE Head Office staff. 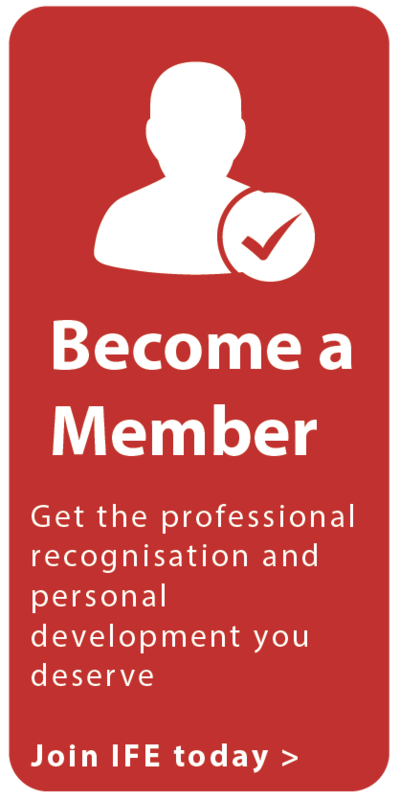 Membership or affiliation is open to all, regardless of role or geography, and is inclusive of those working in emergency response, fire safety, active and passive fire protection, fire engineering consultancy and fire risk assessment and enforcement.